Set more than a decade after the events of A Christmas Carol conclude. Tim (no longer Tiny) Cratchit approaches his 21st birthday. While away at university he has fallen in love with a beautiful orphan girl named Allison, but upon returning home also discovers he will soon assume management of the Scrooge and Marley Counting House. 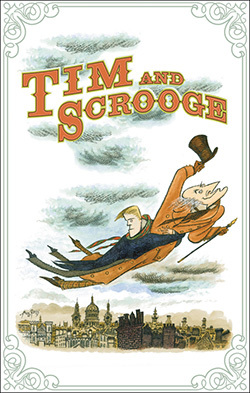 Tim, however, is more interested in being a teacher than a money manager, and signs away control of the business to two sleazy speculators, beginning a series of events that threatens to tear him away from his family and Allison unless the spirit of the long deceased Scrooge can help him set things right again.